The Online Photographer: The Strad of Digital? I came across a wonderful review of the R-D1 by Ben Lifson. "The R-D1 is the best digital camera in existence for making photographs in the tradition of small camera photography that began in the late 1920s with the introduction of the Leica camera and which was spear-headed by the Leica work of Andre Kertesz and Henri Cartier- Bresson. It might well be the only digital camera at present that is good enough to develop this tradition according to digital photography's specific visual nature." "With respect to the great tradition of 35mm photography, in my opinion the R-D1 is the closest thing we have to the Stradivarius of digital cameras." My over-arching philosophy of photography is, and has always been, very simple: Only the image matters. How someone achieves their intended imaging results amounts to little more than mostly immaterial footnote material in my book. So, in that spirit, I'm happy that Mr. Lifson has developed an affinity for his R-D1 and wish him continued enjoyment and success with that camera. Personally, as an occassional Leica M photographer myself, I do not share Lifson's joy of the R-D1 for a litany of reasons. I'm eagerly awaiting Leica's forthcoming digital M in hopes that it will deliver the kind of sentimentally-nostalgic-but-precise experience that Lifson claims to have found in his R-D1. Unfortunately, it has very spotty quality control (2/3 of R-D1 users on rangefinderforum.com reported problems with theirs), the hard-to-read and costly dials and manually-coked shutter (with an unpleasant short throw) are an anachronistic affectation that go counter to functionality as a phgotographic instrument, exactly the opposite of the Leica philosophy of focusing on features that really matter. 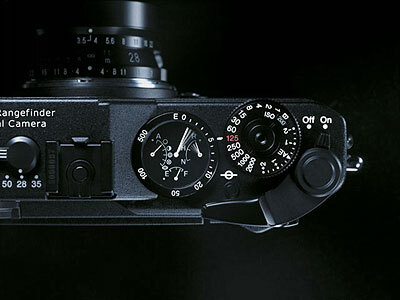 Hopefully the Leica M8 and the much rumored digital Zeiss Ikon will arrive soon. "The best"? I cringe when somone hangs that title on a camera, or any other product. Does such an animal even exist? "My current favorite", "an excellent choice", or "the camera that best suits my style of shooting" would be more appropriate and credible. Annointing a camera "the best" (especially on the internet) only serves to point out how many people disagree. I'm a working pro using two Rd-1s with [as yet] no problems. They allow me to shoot as I always have, but with multi ISO, multi colour balanced film always available in 100 frame rolls. As ever there seem to be plenty who criticise , not sure if many of these have ever used an Rd-1, or indeed actually take photographs. It's just more of that "equipoment snobbery" and condescending fake expertise that has always [sadly] been part of photography. "For that’s the crucial thing: for the camera to become part of, to be absorbed into the photographer’s rhythm and pace of moving through and relating to the world, not for the photographer to become an extension of the camera’s mechanism, which has no relation to the world." Well I look forward to the burst of creativity when the new Leica is launched. It appears to me that before that it will be near impossible to take any photos. I believe that the camera world is putting unrealistic expectations on Leica.